In addition, Bungie's Brian Sharp gave one of the highest-rated lectures of Game Developers Conference 2010 in the form of 'Concrete Practices to be a Better Leader', now also available for free at GDC Vault. Game development veteran Sharp uses a clever custom slide deck and heartfelt techniques to discuss how to "distill leadership to its essential qualities with practical techniques for developing them", with inspiration "drawn from a wide range of sources, from serene Buddhist meditators in monasteries to freewheeling pickup artists in Hollywood penthouses." Both lectures were originally presented at March's Game Developers Conference in San Francisco, and show organizers will be posting new videos bi-weekly throughout the year on GDC Vault, which is designed to eventually showcase a decade or more of historical show recordings. 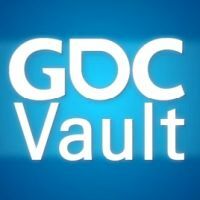 GDC Vault's free videos section includes a previously-announced selection from GDC 2010 featuring talks from Zynga, Ernest Adams, several 'art game' panelists, and NCsoft, as well as several lectures from previous GDC events. The section also includes sponsored GDC 2010 sessions filmed in association with companies such as Intel, Palm, and Nvidia, including CCP (on EVE Online) and Firaxis (on Civilization V). 2010's sponsored videos are free to watch after entering a valid email address for sponsor information purposes, and 2009's sponsored videos are now free to watch without any restrictions. In addition, companies who sign up for GDC Vault Studio Subscriptions can receive access for their entire office or company. More information on this option is available by contacting Suzanne Cunningham or viewing an online demonstration. Individual Vault subscriptions not tied to All-Access passes are being considered for a 2011 launch.